Tinytags are used in building monitoring to help understand environmental conditions for the installation and validation of controls and equipment. Accurate monitoring of temperature, relative humidity and other parameters with Tinytag data loggers provides information which helps a building services contractor monitor conditions, make recommendations, and assess equipment performance. Martin Environmental Services Ltd is a mechanical/electrical and controls building services contractor. The Company uses Tinytag data loggers to understand client issues, providing data to help form recommendations about equipment to be installed, or for validation of installed equipment for the client to assess its performance. For example, clients may comment about conditions being too hot or too cold etc., and the data loggers provide an accurate record of conditions over time for further analysis and subsequent action. The Company uses Tinytag temperature, RH and voltage loggers for a variety of its operations. For example, an NHS building was experiencing domestic hot water issues with major fluctuations in temperature. Martin Environmental Services believed that the heating system was drawing from the cylinder primaries at certain times so they monitored the domestic hot water flow and return temperatures against outside air temperature: they could then understand if there was a correlation between low outside temperature (resulting in the building heating coming on) and the drop in domestic hot water temperature. The data was downloaded following a seven day cycle, graphs printed and checked for potential issues. The pdf file shows a graph of the readings taken by the Tinytags, showing outside air temperature compared to domestic hot water flow in degrees C. The results showed Martin Environmental Services that the issues were not in fact caused by the heating system. Technical Director Andrew Martin has used the Tinytags for a long time. He comments, "We have never had any issues with their operation and have found them to be robust in the environment we use (industrial areas, plant rooms etc.) The Tinytag Explorer Software allows us to pre-program start dates/times easily. We are very happy with them: they are faultless, small, reliable and provide us with a quick easy 'tool' for validation purposes." 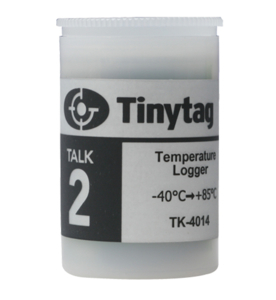 Monitor indoor temperatures with a Tinytag Talk 2 temperature data logger. Monitor indoor environmental conditions with a Tinytag temperature and relative humidity data logger.